Product prices and availability are accurate as of 2019-04-22 16:50:21 BST and are subject to change. Any price and availability information displayed on http://www.amazon.co.uk/ at the time of purchase will apply to the purchase of this product. These hearty one-pot meals, flavoured with fragrant spices, are cooked and served from an elegant, specially designed cooking vessel, also called a tagine. 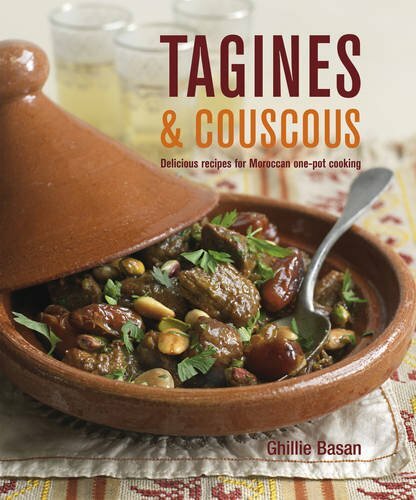 In Ghillie Basan's collection of deliciously authentic recipes you will find some of the best-loved classics of the Moroccan kitchen, such as the sumptuous Lamb Tagine with Dates, Almonds and Pistachios, and the tangy Chicken Tagine with Preserved Lemon, Green Olives and Thyme. 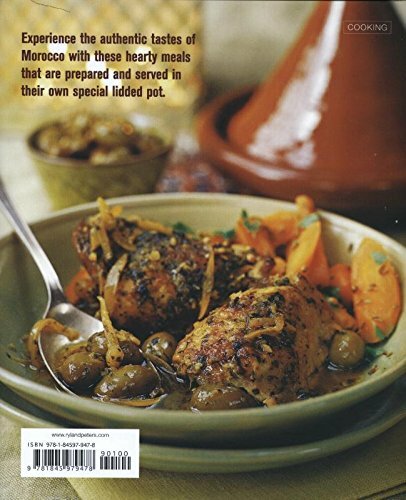 Also included are less traditional but equally delicious recipes for beef and fish - try Beef Tagine with Sweet Potatoes, Peas and Ginger or a tagine of Monkfish, Potatoes, Tomatoes and Black Olives. Hearty vegetable tagines include Baby Aubergine with Coriander and Mint, and Butternut Squash, Shallots, Sultanas and Almonds. 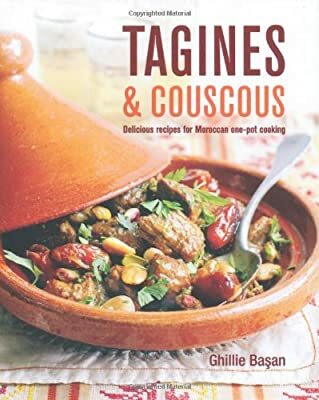 Recipes for variations on couscous, the classic accompaniment to tagines, are also given plus plenty of ideas for fresh-tasting salads and vegetable side dishes to serve as part of your Moroccan-style feast. Ideal for anyone interested in Moroccan cuisine. This hardback book 144 pages and measures: 24 x 19.5 x 1.5cm approx.